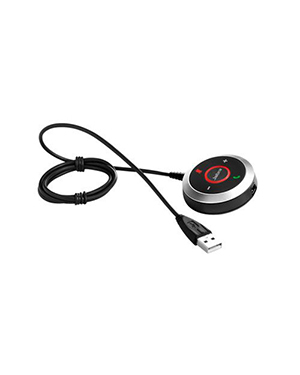 Jabra EVOLVE 80 LINK UC Headset is a unique and innovative mobile corded and USB headset suitable for noisy and quiet office. 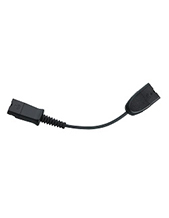 It can be connected to devices that include both computers and mobile devices, including smartphones and tablet devices. 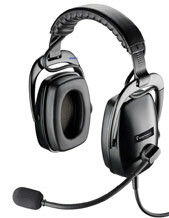 This device is integrated with big earcups that features ANC (Active Noise Cancellation) that could drive users towards better productivity at work, making it perfect for noisy working environments and workshops. 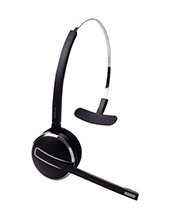 Integrated with unit control, this Jabra EVOLVE 80 LINK UC Headset is capable of answering and making calls with the phone connected to it. The device can also adjust the volume in the phone and put it on mute. It is certified to be used together with Avaya, Cisco, and Microsoft. Jabra is a GN Netcom subsidiary that is responsible for developing wide selection of corded and wireless headsets for professional usage, including offices and contact centres, and for personal usage like when connected to mobile devices, including smartphones and tablets. The company operates under the industry of Business & Consumer Electronics in the global market. Currently headquartered in Copenhagen, Denmark, Jabra was established by entrepreneur and inventor Elwood Norris in the year 1983, while still under the management of Norcom Electronics Corporation, which is a Utah company that focuses on developing ear-radio and ear-microphone solutions and technologies.